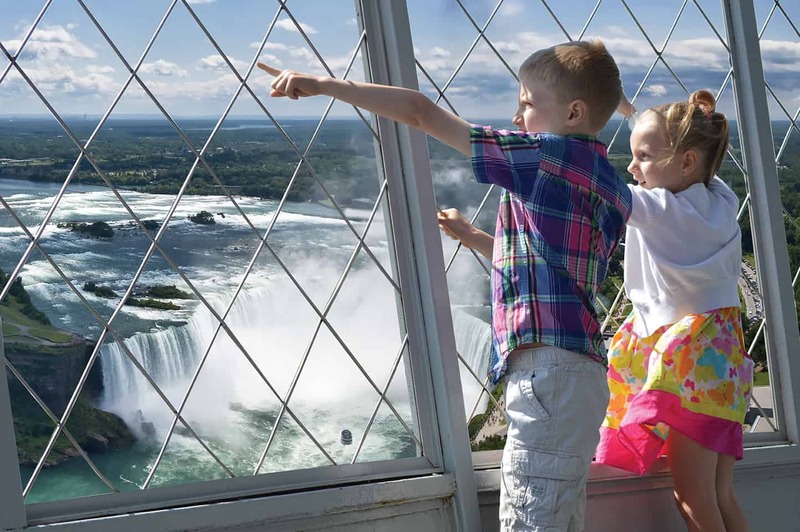 Skylon Tower offers the complete Niagara Falls experience. 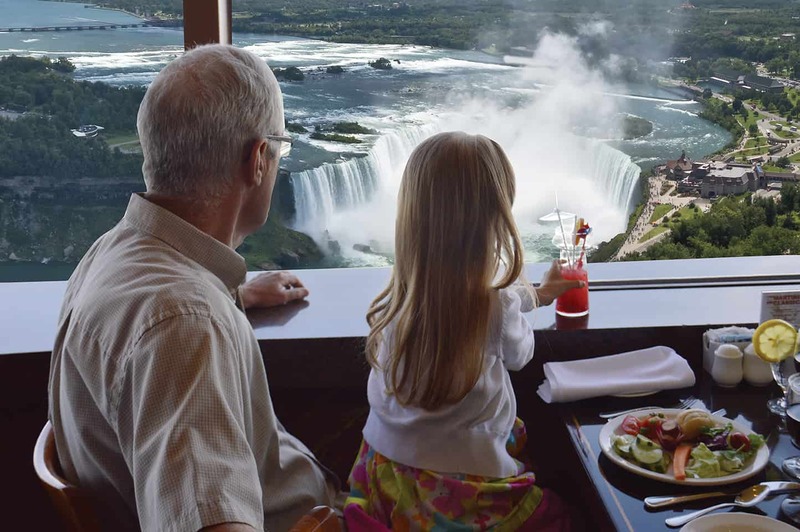 Our legendary attraction and dining facility offers breathtaking views of both the American and Horseshoe Falls and the surrounding area. 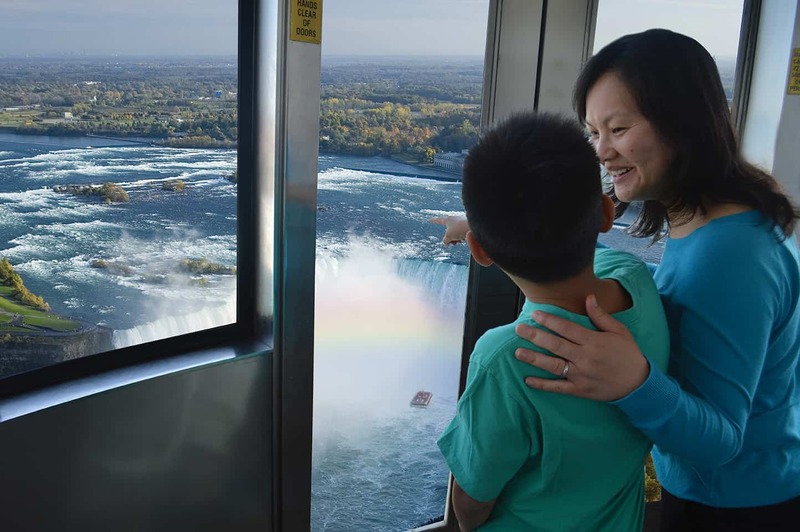 Hop aboard our exterior glass-enclosed “Yellow Bug” elevators and enjoy our “Ride-to-the-Top” in just 52 seconds where you will find panoramic views of Niagara Falls from our Indoor/Outdoor Observation decks. Savour award-winning cuisine in our Revolving Dining Room or Summit Suite Buffet. 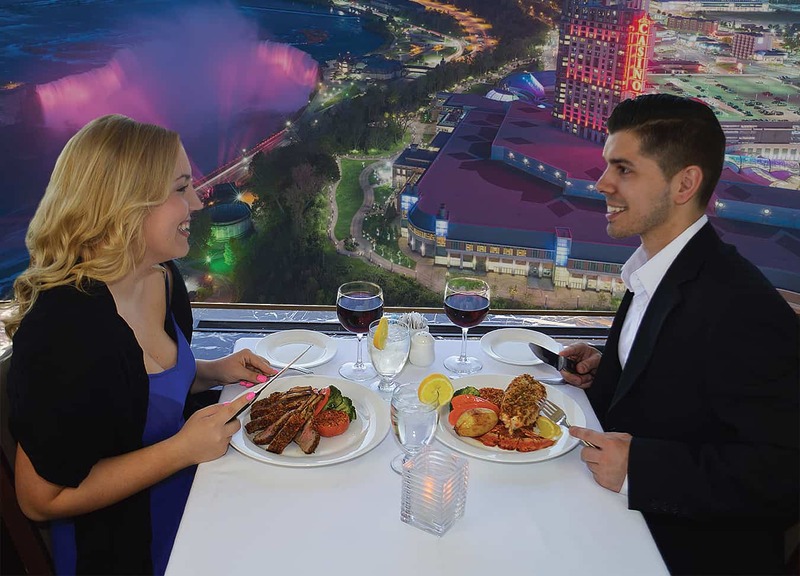 Both restaurants tower a stunning 775 feet above Niagara Falls. Our Revolving Dining Room is the area’s only 360 degree revolving restaurant. At the base is Niagara’s largest indoor amusement area; Skylon Family Fun Centre complete with a food court and 3D/4D Theatre. Browse through our many gift stores or stop by Angelo Rossi Galleria and Studio.